The food waste in America is huge. The facts show that in 2017 this is both a major problem for the environment, and at the same time could be a great asset. In the USA, the population wastes so much food that correspondingly large quantities of renewable sustainable, 24/7 energy could be created from the 60 million tonnes annually of food waste the nation produces. America is the world’s largest consumer nation. 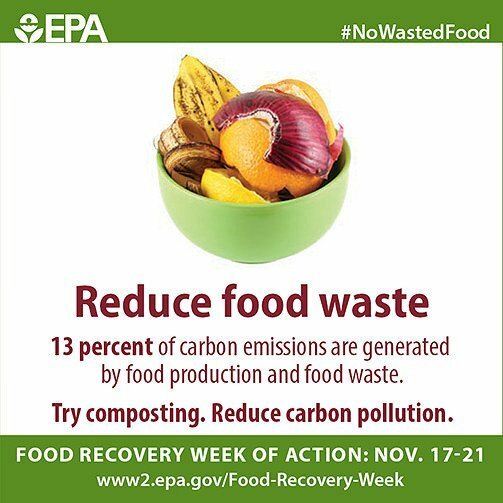 So, think positively and all that food waste in America can be used, and become one of the main feedstocks for AD plants throughout America. How is the nation planning to exploit the massive potential of food waste in America, so far? The US EPA and USDA last year announced a food waste reduction challenge that looks to have the potential to reduce the amount of food waste going to landfills by 50% by 2030. It’s estimated that the food waste in the US is approximately 50 million tonnes per year, that is going to landfills. Plus, another 10 million tonnes of food crop which is discarded or never makes it out of the field, being ploughed back into the land. There is clearly a very substantial food waste digestion opportunity for the US anaerobic digestion and biogas industry, but government departments can only talk about it. It needs investors to commit funds and businesses to set up biogas digestor building projects, before anything can happen toward achieving the targets. A group called REFED (Rethink Food Waste) has realized that Food Waste in America can be big business. It has set up its own body, which has just released a report on their quest to stop wasting food waste, titled: “Roadmap to Reduce U.S. Food Waste”. The Roadmap sets a target for a 20% reduction in food waste nationally over the next 10 years. ReFED is a collaboration of over 30 business, nonprofit, foundation, and government leaders committed to reducing food waste in the United States. ReFED seeks to unlock new philanthropic and investment capital, along with technology, business, and policy innovation, which is projected to catalyze tens of thousands of new jobs, recover billions of meals annually for the hungry, and reduce national water use and greenhouse gas emissions. via the REFED Report. ReFED envisions a future where combating food waste is a core driver of business profits, job creation, hunger relief, and environmental protection. 13 million tons from landfills and onfarm losses. greenhouse gas emissions annually. REFED Report. There is already some growth in the food waste in America front, seeing the development of food waste digesters. In California there is a project in Sacramento done by a company called Clean World, and they are taking food waste from the universities in the area as well as food from food production facilities. They take about 100 tonnes per day of food waste. They upgrade the biogas and use it in vehicle fuel and they fuel a fleet of 40 trucks that pick up the organic waste from these facilities. So we’re in the early stages of this, but there is an incredible opportunity, there are many cities and states that are starting to now restrict food waste and other organics from going to landfill. So we are starting to see a move in that direction as well. Cities like Los Angeles, New York City and Chicago are starting to implement regulations that will divert food waste to other management strategies. Anaerobic digestion is the primary technology for now, for managing food waste. What about co-digestion and food waste with the waste water at WWT plants? Yes, very good question. There are several of those projects going on in the country. In fact, some of them that process food waste in america are very large scale. The Los Angeles County sanitation districts in Los Angeles, California, currently has a pilot project going on with waste management incorporated. And, they are taking between 40 and 80 tonnes per day of slurried food waste that’s delivered to the Carson waste water treatment plant in Los Angeles. In that project they’re using it for electricity production. In New York City, the NYC department of environmental protection is working with national grid, which is the natural gas utility in the area. In that case, the delivered food waste to the digester, is converted into biogas, and the biogas they produce will be used, after upgrading it to biomethane as renewable natural gas (RNG). It will be upgraded for natural gas injection and, we believe, used for vehicle fuel, possibly heating through a CHP project. It has been rumoured via a statistic released recently, that excess capacity at waste water treatment digesters in California could actually handle about 70% of the food waste produced in California. So it’s a possible way to raise the amount of food waste in america which is recycled, that definitely needs attention, and there is a lot of existing infrastructure and capacity to take this food waste without having to build new facilities. We think that this is a very interesting opportunity, and we are certainly hopeful that there will be a lot more more growth in this area in 2017. Further information on food waste is here.